Located on the French Riviera, along the Franco-Italian border Menton has been nicknamed “The Pearl of France” and it’s very apparent as to why. 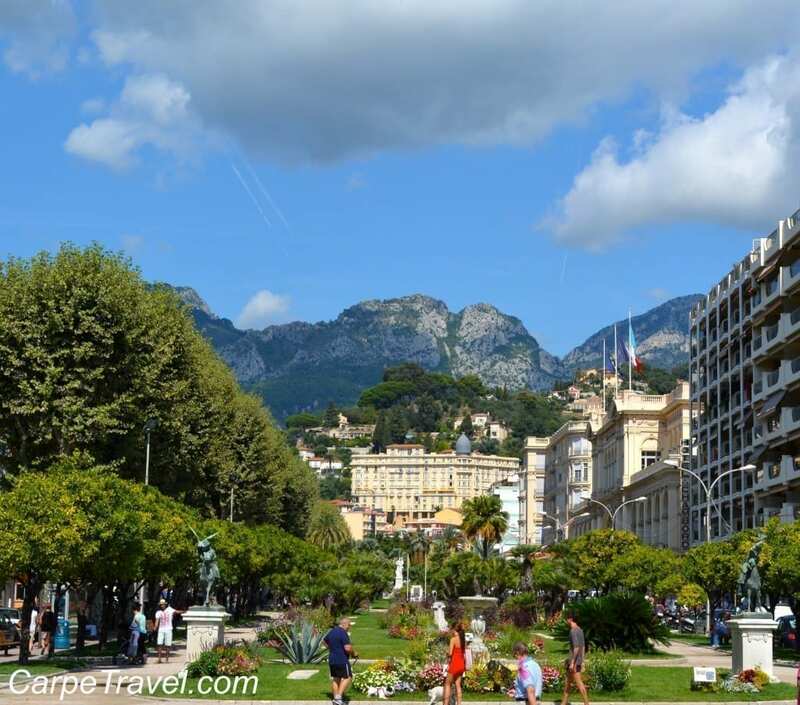 Nestled in between the mountains and the Mediterranean Sea, Menton provides a slower pace to life all while giving its visitors much of the wonders its neighboring towns – Nice, Monaco, Monte Carlo – have to offer. I found Menton to be a calm, peaceful little town that’s quite lovely for both adults traveling solo as well as families. (While we traveled without the kids this time, we saw an abundance of families and activities/restaurants that catered to them. It truly looked like an excellent family destination.) 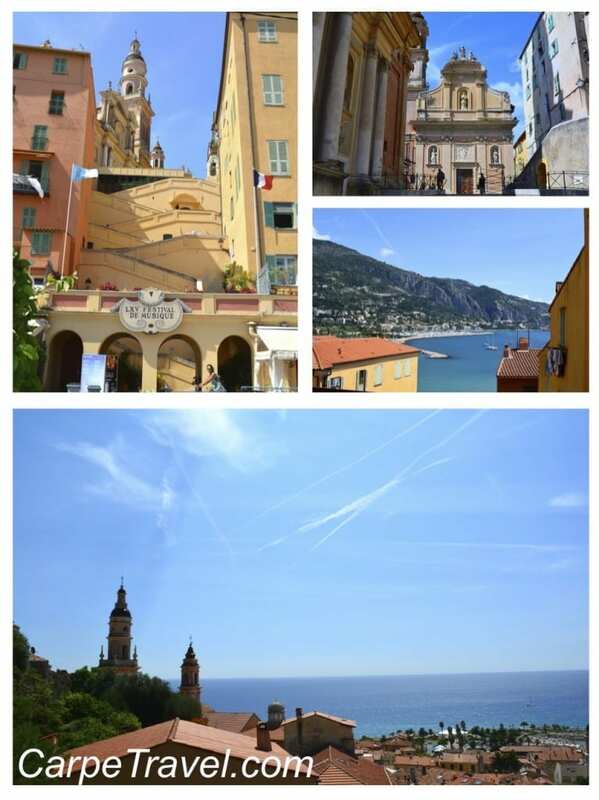 If you’re planning a trip to Menton, here is a short guide for things to know before you go – things to do, restaurants, where to stay and more. Au revoir! 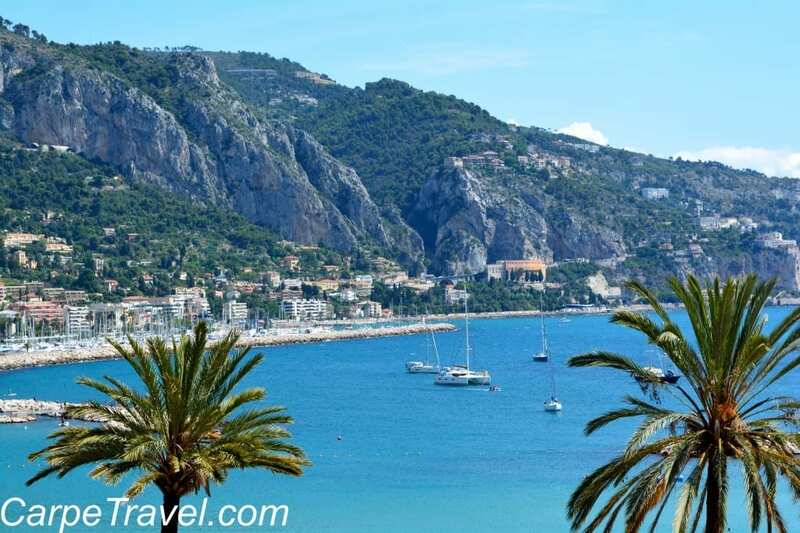 Menton has a colorful history dating back to prehistoric times, in fact it’s the site of the original “Grimaldi Man” – two paleolithic skeletons that were found. From the Romans to the Prince of Monaco, the area has always been a desired location. But it wasn’t until 1861 when it became a popular tourist destination and people began visiting Menton verses Nice and Monaco. And it’s all thanks to a British doctor who spent time in Menton one winter. Upon his return to Britain he published a paper regarding the health/healing benefits Menton offered due to its mild – almost nonexistent – winter. It wasn’t long before those suffering from tuberculosis and other conditions flocked to the area. These days, those flocking to Menton are a lot getting more than “healing” benefits. 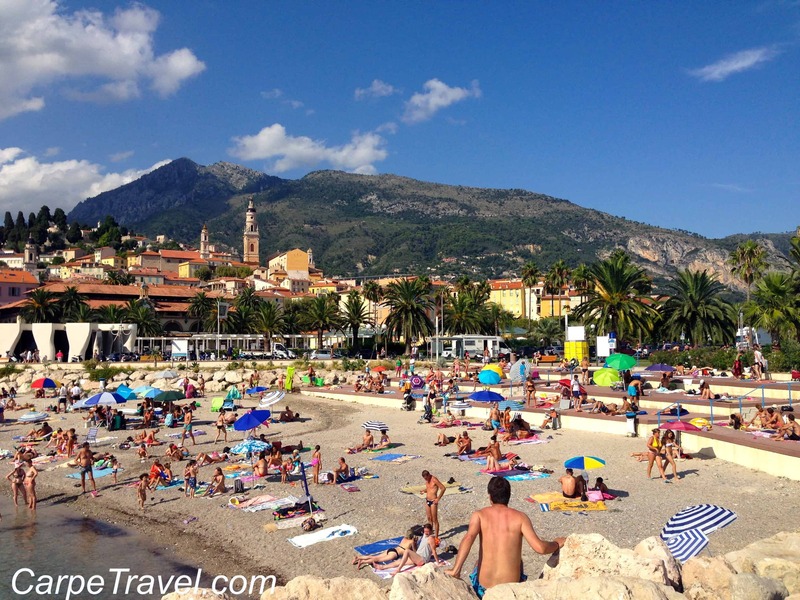 Hit the Beach: The beaches in Menton are beautiful BUT they’re all rocky, some more than others. There is a “sandy beach” as our hotel told us, but it’s actually a pebble beach. Make sure to wear water shoes or sandals in the water and the beach otherwise your feet will not thank you. There are lifeguards on duty at some of the beach locations and lockers are available on to store your things. Culinary historians claim that macaroons can be traced to an Italian monastery of the 9th century and then brought to France by two nuns seeking asylum during the French Revolution, who paid for their housing baking and selling macroons. I have know idea if Menton has any relevancy in the macaroons culinary history but I can tell you this is THE BEST place I have ever eatten a macroon. This little cafe alongside Carnot Avenue is THE place. It’s also the spot The Husband discovered these little bites of heaven. Casino Barriere de Menton: Monte Carlo is just 15 minutes from Menton but if you want to skip the glamor and prices of Monte Carlo and simply relax over a game of black jack you can easily do so at Casino Barriere de Menton. It’s not all gambling here though as the casino does have a restaurant that overlooks the seascape and beaches. The view alone makes it a great place to have an aperitivo! If you do plan to visit the casino you will need to make sure you have your passport with you or you will be denied entry. 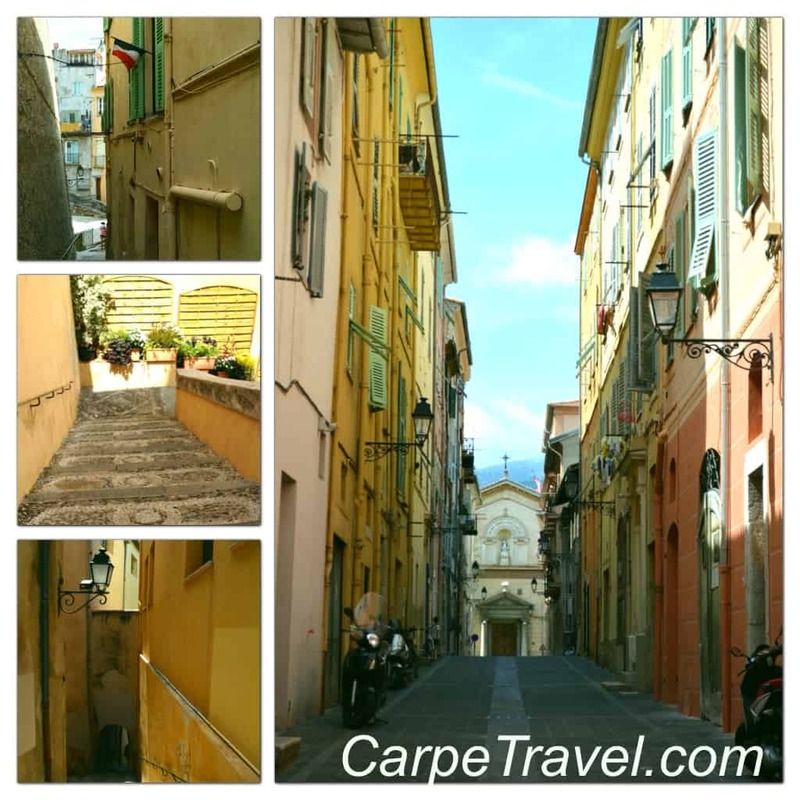 Hike through Old Town: My favorite thing to do in Menton was simply exploring the streets of old town. Literally hiking up the cobbled, narrow winding streets introduced me to colorful buildings, hidden cafes and spectacular views of the mountains and Mediterranean Sea. 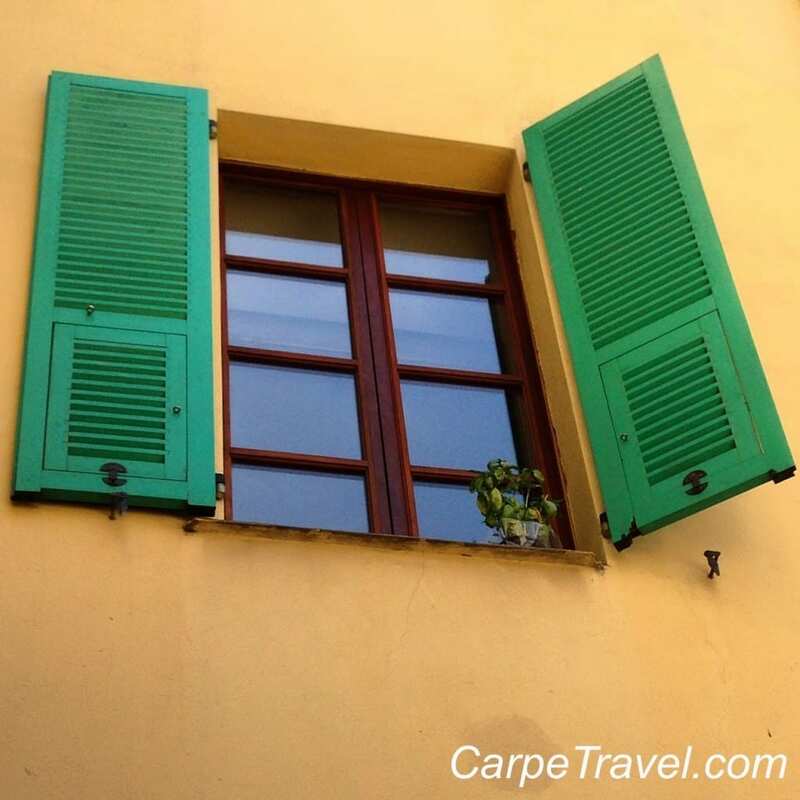 From Medieval cobblestone streets to Roman walls that still line some roads to a rainbow of buildings climbing the hillside, the architecture in Menton reflects its colorful past. Koaland: This is a little amusement park that offers rides and games for visitors. We didn’t visit the park but it looked like a fun place to take the kids if the weather wasn’t nice enough for the beach, or if you just needed a break from the beach. Musee Jean Cocteau Collection Severin Wunderman: The museum opened in 2011 and is dedicated to Jean Cocteau, Menton’s adopted artist. The exhibits rotate throughout the year so you’ll need to check beforehand to see what will be on display. Gardens: Averaging 316 days of sunshine a year, Menton enjoys a subtropical microclimate that has virtually no winter. In other words, you can grow ANYTHING here and it’s apparent in the city’s seven public gardens. Not to mention that every windowsill seemed to be growing basil, which I can’t grow to save my life in Colorado. Sip the Local Wine: The nearest vineyards to Menton (in France) are the somewhat rare and expensive wines of Bellet – from the Appellation d’Origine Contrôlée (AOC) in the western hills of Nice. (Menton is the last city in France along the coast before you reach Italy so you could venture into Italy for some tastings as well.) There are about 10 Bellet vineyards close together in the hills behind Nice which you can arrange to do tastings at. 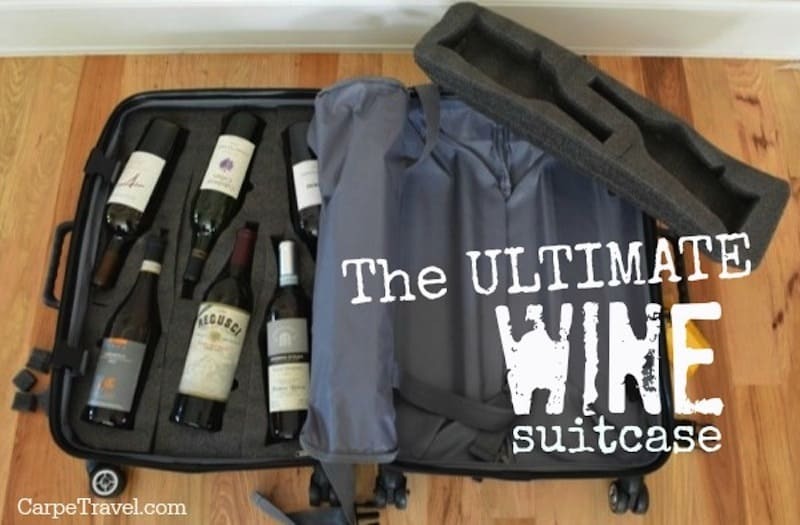 (The Riviera Grapevine did a great write-up on Bellet wineries and tastings, check it out.) Or, you could simply sip the local Rose’ at a table along the boardwalk while watching the sunset over the Mediterranean Sea. Basilica St. Michel: More than 100,000 tourists come to see Basilica St. Michel every year. It’s really a masterpiece in Baroque art. Know that it’s a pretty steep hike through town to the Basilica. 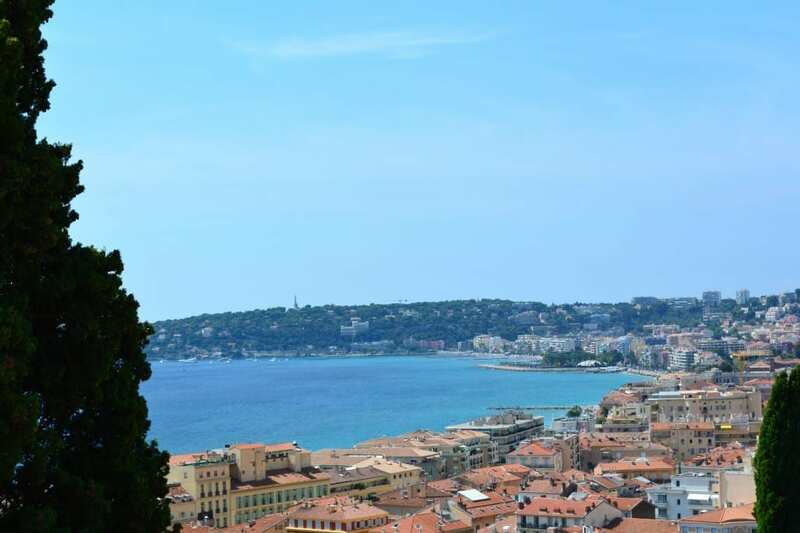 It’s also closed from noon to 3pm and in August the Menton Music Festival is held on the parvis of the Basilica. Given Menton’s close proximity to Ventimiglia, Italy you may want to cross the border to check out the famous Friday market in Ventimiglia. I’ve been told it’s the place where chefs in Menton and Ventimiglia both regularly visit given its large selection of fresh seafood, produce and other local fares. Cimitero del Vecchio Castello: This is grave site for notable figures in the area and throughout Europe, including William Webb Ellis, known as the man who invented rugby. I wasn’t really too keen on visiting a grave site, although I do like to do this on occasion, what peeked my interest was the hike through town and the promise of amazing views. 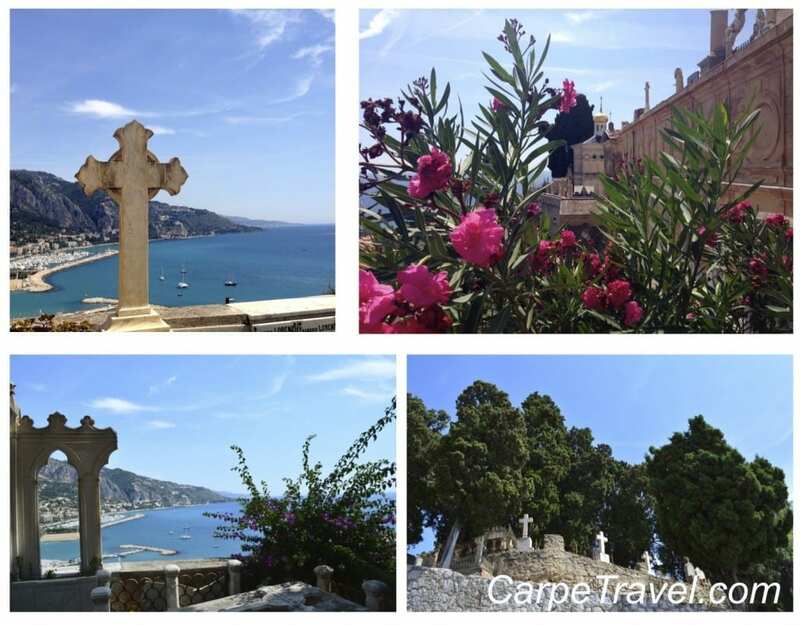 The cemetery is perched on a cliff located at the top of Menton so you can see for miles. It was interesting walking through the cemetery and seeing the variety of people – French, Russian, German, Italian – who were buried here. There is also a small Russian tomb that is quite beautiful and reflects the influence Russians have had on the area. I do want to note that you can easily visit Basilica St. Michel, La Chapelle des Pénitents-Blancs andCimitero del Vecchio Castello on the same walk. Simply take the same road from Basilica St. Michel – RueSaint-Michel- up to La Chapelle des Pénitents-Blancs. From there you’ll need to turn up the hill onto Rue Du Vieux Chateau. There is no shortage of restaurants in Menton. From sidewalk cafés to restaurants lining the beachfront your bound to find a restaurants in Menton that will serve local seafood and regional dishes. Several do have multilingual menus as well, many with variety of languages – French, Italian, German, Russian, English. 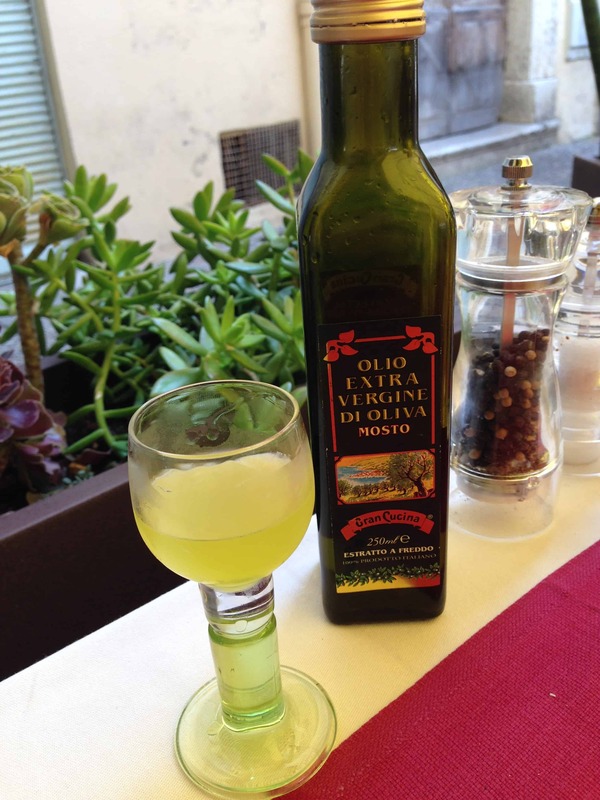 There are a few regional dishes I suggest you look for – barbajuan, a type of ravioli; socca, chickpea pancakes; pichade and bouillabaisse, a traditional Provencal fish stew. Additionally you’ll find a ton of pizzeria’s and given Italy’s influence in the area you’re bound to have an amazing pie. Delish! La Coquille d’Or (1 quai Bonaparte). 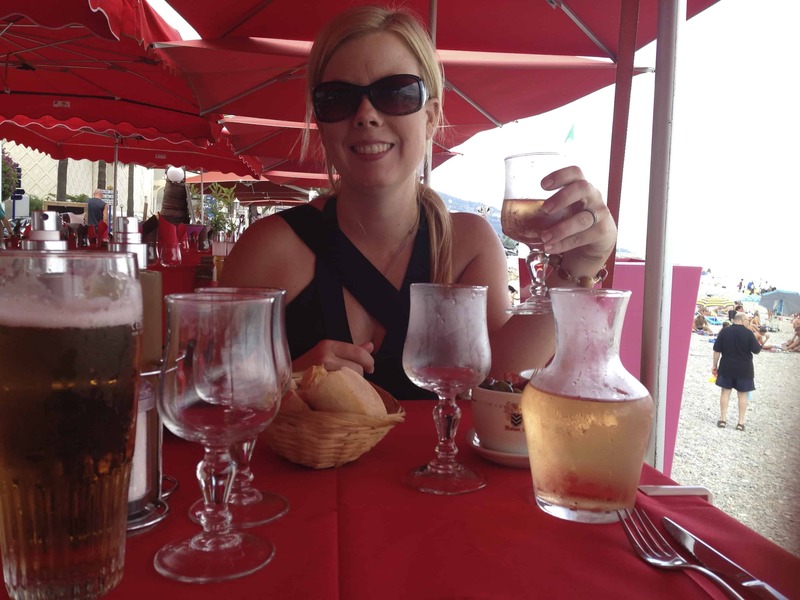 The was my favorite restaurant in Menton! 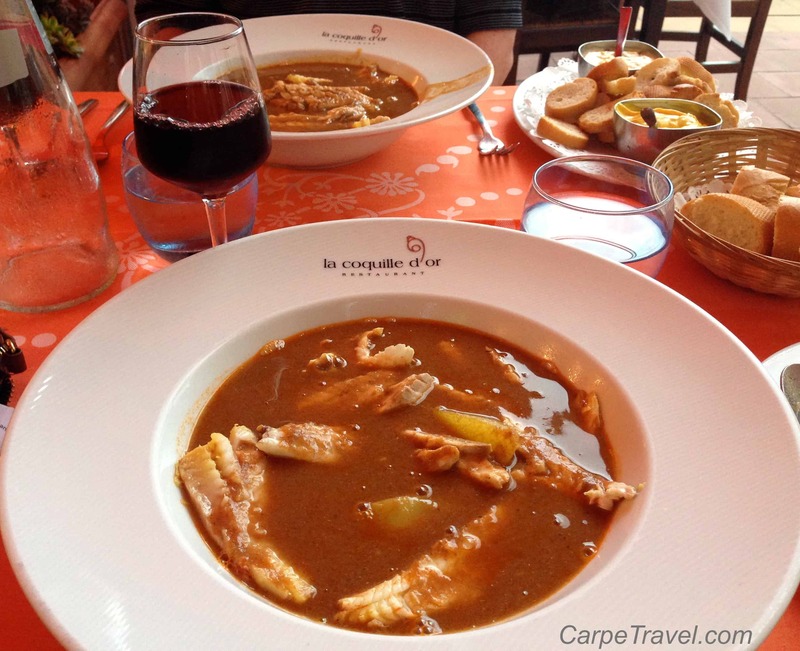 It’s located at the end of the walking street in the old city and has the BEST bouillabaisse, a traditional Provencal fish stew that featured local fish from the area. Please note, you will need to go inside to pay. Something we were not aware of, resulting in a much longer evening sitting on the patio. Additionally, there are a few members of the staff who speak English which was very helpful. A few other suggested restaurants in Menton. Check out The Guardians suggestions and reviews as well. Oh, and don’t be surprised if you’re greeted with a shot of lemon-cello after your meal. Something else to note, most restaurants require that you come inside to pay your check. They don’t typically bring it to the table. In Menton the beachfront hotels are separated by a road and boardwalk. There are a variety of options for “beach front” hotels in Menton, all of which are VERY proud of there “star ranking”. We stayed at Hotel Prince De Galles – see the review – a lovely three-star hotel. 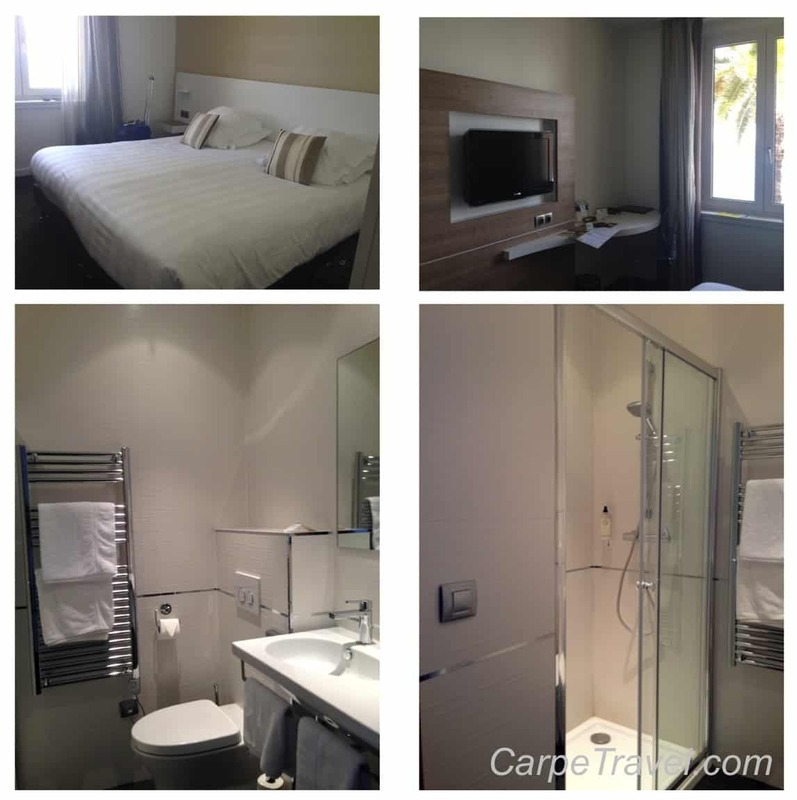 It was a little further out of the city center than we would have preferred so make sure to note a few of the things you’d like to do in Menton before booking your hotel to ensure you’re in close proximity. The town is really only about 1.5 miles in length, an easy and beautiful walk along the coast. I would suggest looking into AirBnB as well as Hotel Napoleon, given its central location and four-star ranking. TAXIE: If you arrive into Nice Cote d’Azur airport there are taxies outside the door of the arrivals area at both terminal one and two. It takes about 40-45 minutes if you choose to take a taxi and the fare will range from €72 – €110 depending on the time of day. Make sure to set the fare with the driver beforehand. This is the fastest route but most costly. BUS: There is a bus that runs at regular intervals throughout the day from 9am – 9pm, from terminals 1 and 2 of the Nice airport to Menton. It takes 1hr 15 mins and costs €18. Take the Express Route 110 bus just outside Terminal 1. 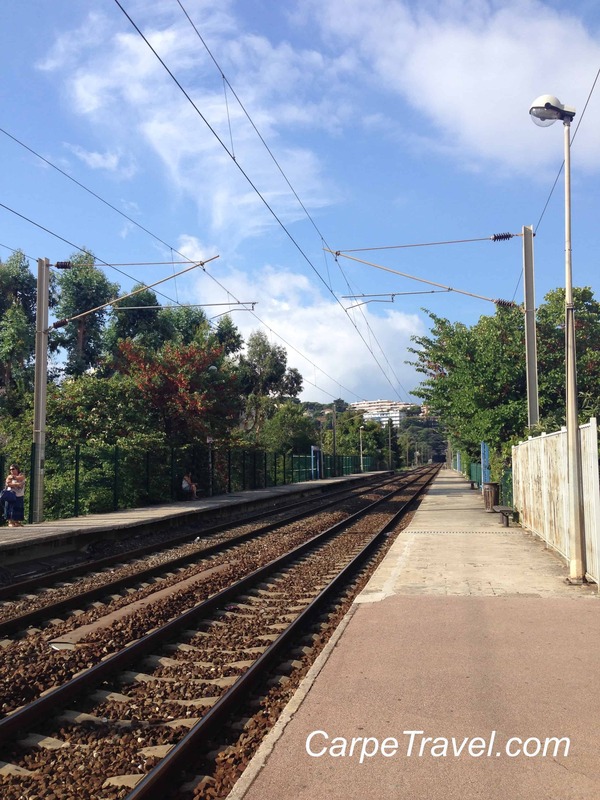 TRAIN: Nice Cote d’Azur airport does not have a rail station onsite so to get to Menton from the airport you will need to take a taxi or bus (bus 99 connects the airport to the train station) to the to Nice Ville train station. From Nice the trains run right along the seafront regularly throughout the day and evening to Menton. It takes about 30 minutes via train (plus the ride from the airport to the train station) and costs €8-€10. This is a good site to check the train schedules to Menton. Want to see more of Menton? 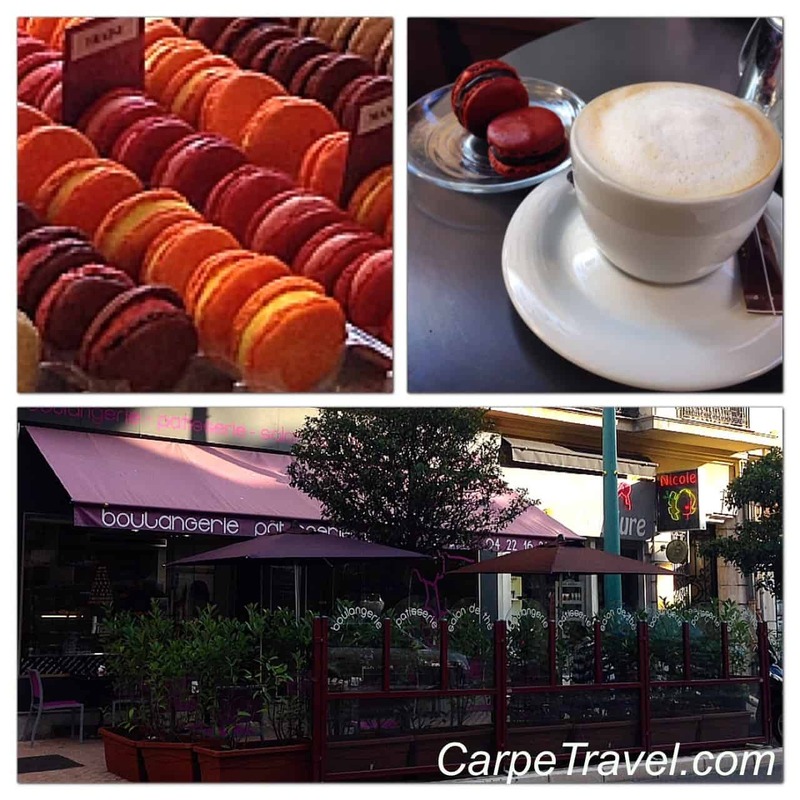 This is a great video of the area to give you more of an idea of things to see and do in Menton. 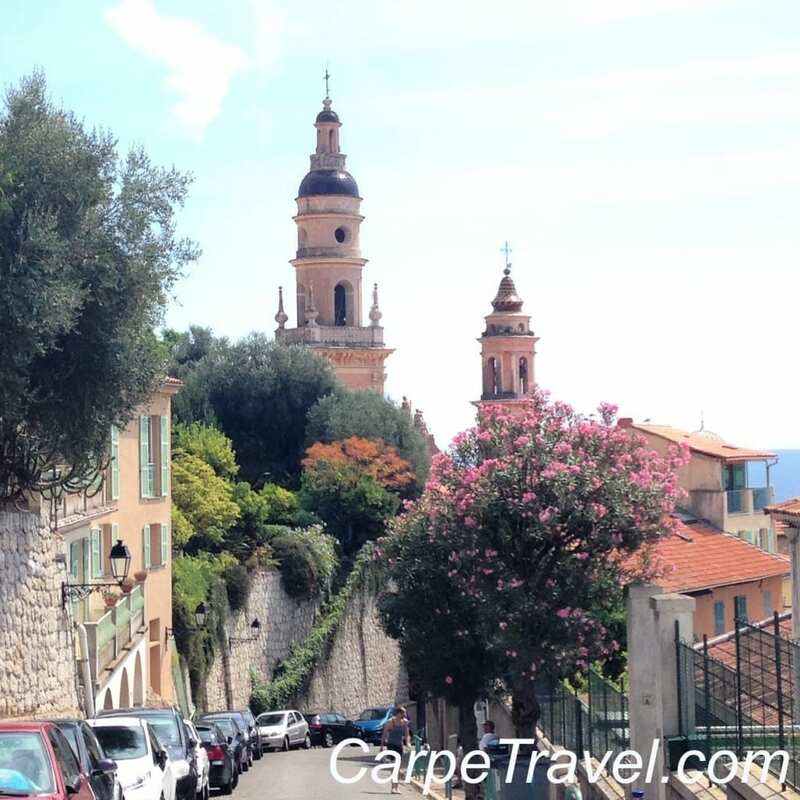 Have you visited Menton? What did you think? 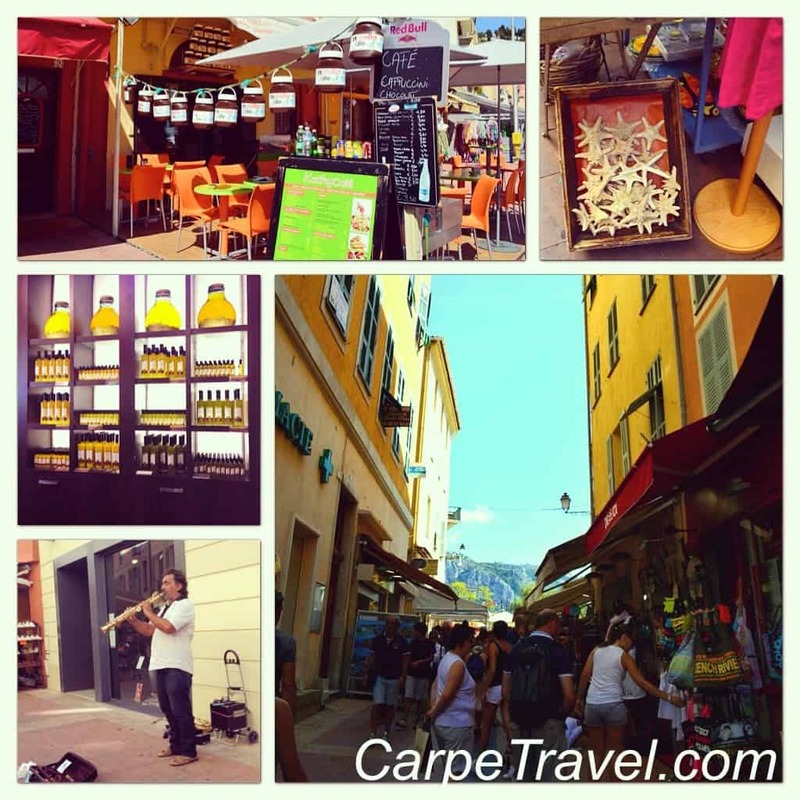 What are some of your favorite things and/or places to visit in Menton? Why didn’t I go here when I was in Nice!? It looks beautiful, and macaroons…yumm! Next time for sure! I want to go to Menton! I want to go to Menton! I want to go to Menton! I’m going to Menton and Nice in October and travelling as a solo female . Oh, have fun in Menton! It’s such a cool little town.